We are proud to have acquired a fine Steinway Piano from Sherman Clay Pianos in Walnut Creek, CA, almost 10 years ago when we moved to Modesto, CA. It was a symbol to us that we had “made it.” Tammy had become a full fledged Plastic Surgeon and for me, a General Surgeon. On Friday, 5/31/13 Sherman Clay, is closing its doors after 142 years of being America’s Finest Piano Dealer. The owners are retiring, and they deserve a standing ovation for all they have done for the piano arts. We wish Justin Levitt the manager of the Sherman Clay store in Walnut Creek a wonderful future with Steinway & Sons. He is a pianist, composer, Carnegie Hall performer, and an ambassador for all things piano. Both Dr. Wu and I play the piano. 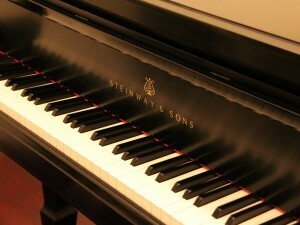 Our Steinway Piano (Model B, 6’11”, 760 lbs) acquired in 2004 from Sherman Clay Pianos in Walnut Creek. Tammy wanted to purchase the piano to go along with my violin playing. But I couldn’t resist the urge to play the piano as well, and I’m glad she decided upon this high caliber instrument. I had learned some piano as a child but had been “fired” by my piano teacher. In college, I came up with this idea that in order to become a better violinist, I needed to learn piano. So, I sneaked in piano lessons with great piano teacher Arlene Cole at Brown University. I wasn’t nearly anywhere good enough to be one of her regular students, but she allowed me to take lessons with her on the side for one summer. Then of course, medical school took over and I had forgotten about the piano until Tammy brought it up in 2004 as one of her interests and insisted on the best piano we could obtain and fit into our first house. We have moved 3 times since 2003 and I’ve nearly had heart attacks each time the piano was moved, but it has fared well. Currently I’ve been teaching myself some piano and here’s some Cosmetic Surgery finger dexterity practicing on Chopin’s Minute Waltz. This entry was posted in Modesto, Music, Piano, Wellness and tagged Sherman Clay, Steinway on May 31, 2013 by Calvin Lee, MD. This entry was posted in Botox, Juvederm, Statistics and tagged brilliant distinctions on May 31, 2013 by Calvin Lee, MD. PrognoCis EMR shows that patients are one hour behind in the scheduler! In the past, all I had to do for a problem like this was to make sure the zoom was at 100% setting rather than anything else. The zoom feature is in the lower right corner of Internet Explorer. But now it was different. Today, I came to work and found that my EMR had all the wrong times. Patients on the schedule were shown to come in 1 hour earlier than they were supposed to. So I always felt that patients were one hour late. What happened was that my Windows 7 operating system had installed an automatic update that turned my IE9 (Internet Explorer) to IE10. I reverted IE10 back to IE9, and told windows not to do any more updates. Note: this might be a bit drastic and unsafe for security reasons – there are options to choose for manually installing and choosing which updates you’d want – that’s more of a practical solution – I just picked the NO UPDATES choice as a dramatic chance to AUTOMATICALLY INSTALL UPDATES. This indeed fixed the scheduler mis-match of times. And I think this will prevent new installations until I want them. We work hard to keep PrognoCis the way we want to with all the custom settings typed in and also we also surf the internet with Chrome to avoid messing up Internet Explorer – it’s a shame for Windows to just come in and destroy all that for our PrognoCis settings. So this method works for me. Start -> type in the box: “windows update” -> enter -> click “change settings” -> select “Never check for updates (not recommended) or whatever level you want. By the way, PrognoCIS EMR wrote me back within 1.5 hours – this is very impressive! And they sent me a PDF file with detailed instructions on how to do the following. Thank you for contacting tech support. 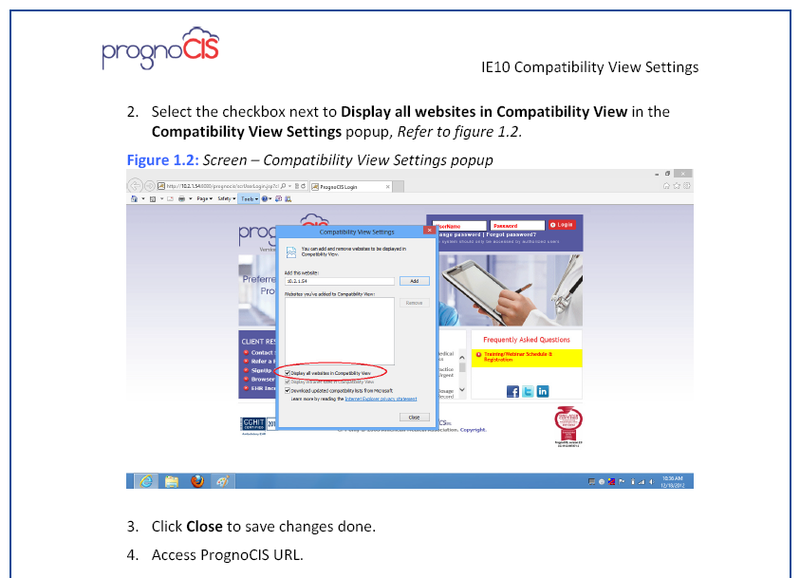 Please pull up the PrognoCIS site then go to Tools > Compatibility view settings >click on “Add” or add “prognocis.com” > Check the check mark of “Display all website in compatibility view” > click on “ok” button. 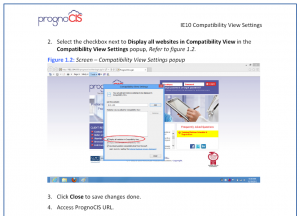 After that please login to PrognoCIS and check it. Also please zoom size of internet explorer, it should be 100%. Hope this helps. Please let us know if you have any query. I wanted to add to others that you might have to press “ALT” to get the “tool” menu item to come up in the Internet Explorer. This entry was posted in EMR, PrognoCIS and tagged compatibility view, emr, ie10, ie9, prognocis, scheduler, Windows updates, wrong times on May 28, 2013 by Calvin Lee, MD. The first three years the marathon was one Sunday earlier. In 2013, it was moved to one Sunday later in the year. 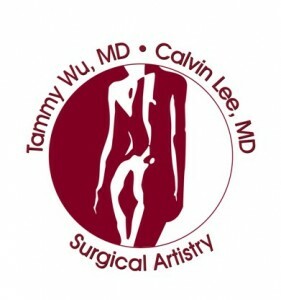 Good luck and we hope to see you at the Surgical Artistry Modesto Marathon. This entry was posted in Modesto, Running and tagged 2014, Date, Modesto Marathon, Surgical Artistry Modesto Marathon on May 27, 2013 by Calvin Lee, MD. I still am unclear about your $50/day you “allocation” to your marketing that you referred to. Does FB charge you by the day? So if you hate someone’s ad (which I know you don’t but just in case), you can click on it several times and deplete their allocation – I think – I’m not sure if FaceBook has a mechanism for detecting this sort of behavior. Or you can do what I do, I split the ads up into two different types of ads, one per click (CPC) and one per impression (CPM). The impression type – it doesn’t charge you if a customer clicks on it. 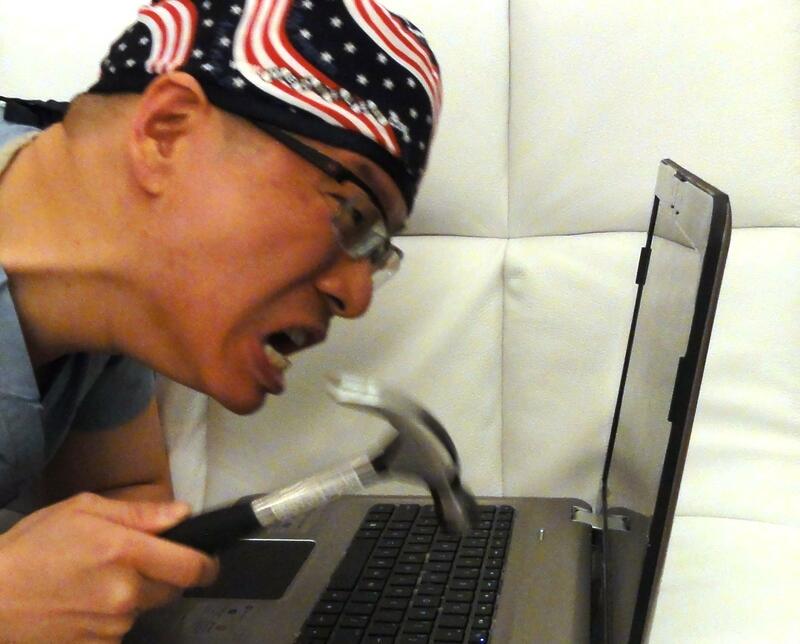 So if I get a “hater” – which of course I don’t have any… right? – then they can click a million times on my “impression” ad, and it just costs the same. The impression ads are called CPM (cost per thousand) not sure why it isn’t called CPT, but then it becomes some medical code I guess. But you just say how much you want to pay per thousand impressions. In general I like CPC. I think it gets me a better placement on the list of ads. But I’m also unclear what happens on a mobile device. They might not get ads at all? I’m not sure right now. I don’t really use mobile devices that much at this time. Perhaps someone could comment. One more twist, there are several options for payment and account allocation: you could set it up per day or you could set it up per entire duration of the ad campaign, ie. 1 week, etc. I like per day, because I could change the intensity of the advertising as we go along. This entry was posted in Uncategorized on May 27, 2013 by Calvin Lee, MD.